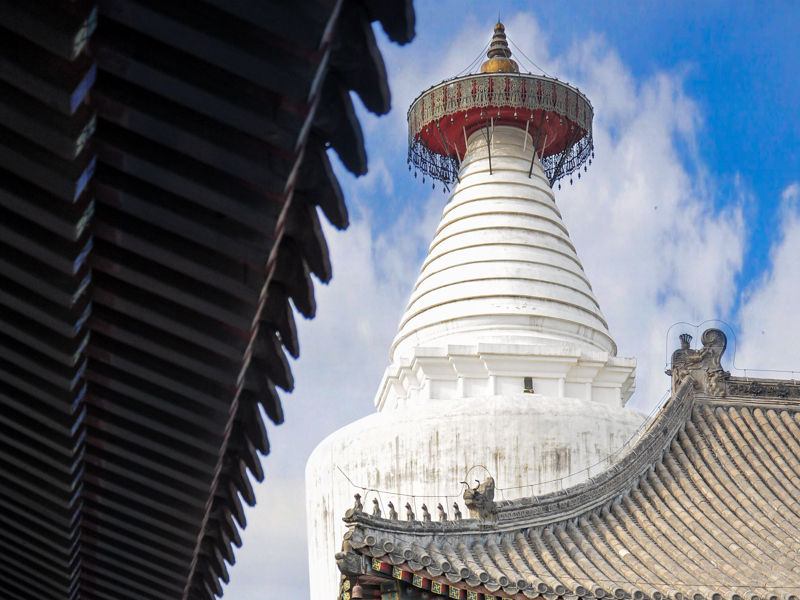 Baitasi (the White Pagoda Temple) is a historical and cultural preservation zone covering about 37 h㎡ located just across Beijing’s Financial Street in Xicheng district. To its north is the Xizhimen business district and to its west is the Fuchengmen commercial area and the Sanlihe administrative district. The Xidan and Xisi shopping areas border the temple to its east. 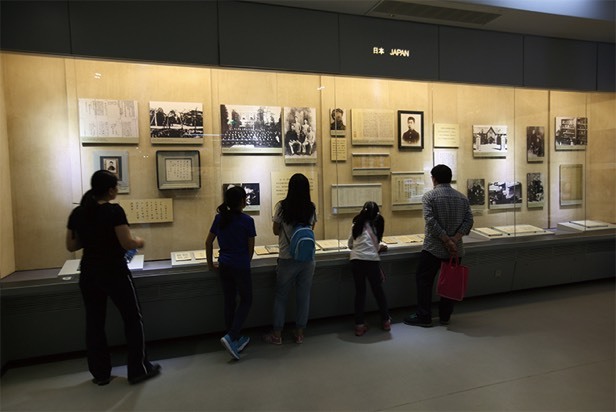 Baitasi remains a peaceful cultural oasis for the public in the heart of new Beijing. Baitasi is located in an old low-rise residential district of Beijing, one of the last remaining traditional residential areas in the capital. Currently, options are being explored to provide an alternative path for urban renovation and community revival. With societal advancements, people have realized that standard large-scale demolition and construction of Beijing’s urban core is no longer viable. In its stead, small-scale, organic renovation models are attracting greater attention and use. 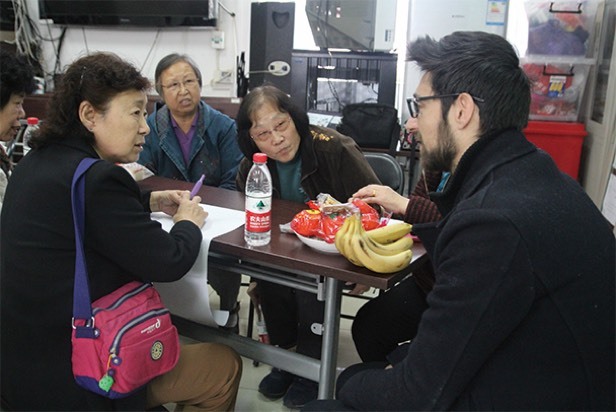 The main objective of the Beijing Huarong Jinying Investment & Development Company’s “Baitasi Remade” project is to establish a new model for local residents with the aid of public participation and model enterprises and government leadership. It hopes to establish a sustainable population, revitalize the physical spaces, upgrade to basic energy sources, and re-engineer the public environment, thus fostering a cultural revitalization of the region as a whole. 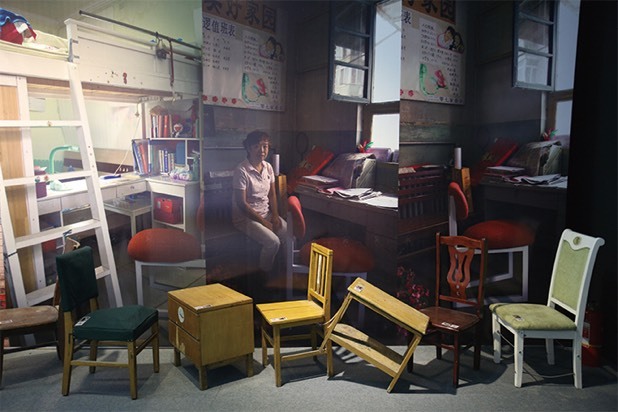 While maintaining the unique character of Hutong neighbourhoods and the residential functions of traditional courtyards, “Baitasi Remade” will inject new elements of design as well as cultural and creative models to create a new cultural district comprehensively integrating tradition, innovation, and style. The scope of the movement of residents from Baitasi area starts from Zhaodengyu Road in the east, Fuchengmennei Street in the south, and the planned road at Shoubi Street in the north. In 2013, the plan to fulfill the agreement on vacating and returning buildings for Baitasi project had gone through examination and been kept on file. It invokes the principle of governmental leadership, voluntary residents, justice and fairness, and vacating and returning buildings as a whole, sticks to the vital role of human beings, leads residents to move out, and is implemented in three different ways, housing-, money-, and equivalent-based settlements. A model of agreed vacating and returning of buildings has been gradually developed, acquiring the ability to start the movement in the community, and the demonstrative effect of vacating and returning buildings has initially existed, lowering the density of residents within the area, and improving residential and living standards. For “Baitasi Remade Plan”, the mission to improve “lines”, the three main municipal lines of Shoubi Street, Funei Street, and Funei North Street, has been launched now, so that, by carrying out the transformations in many aspects such as street conditions remediation, landscape improvement, road planning, and buildings renovation, the style and features of ancient streets can be recovered at last, and they can be transformed into those that are not only suitable for urban lives and serve commercial and residential functions, but also embody the space with high-quality streets to the glory of old streets history and culture. The Shoubi Street Project includes road, traffic, architecture, structure, water supply and drainage, lighting, greening and utility tunnel engineering, and lay 8 municipal pipelines for rainwater, sewage, supply water, reclaimed water, power, telecommunication, fuel gas and heat distribution underground respectively. 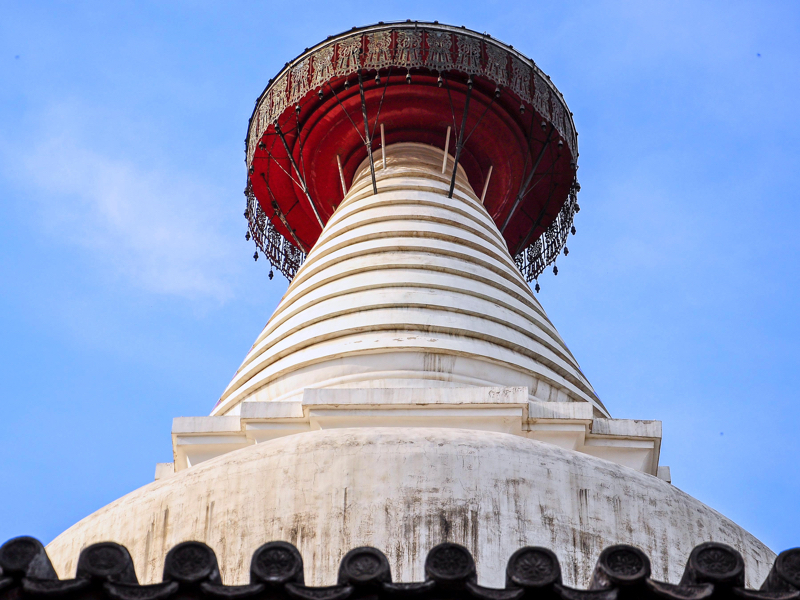 In the meanwhile, it introduces mechanical underground parking available for about 500 vehicles, which relieves the parking pressure of Baita Temple historical protection zone; also. 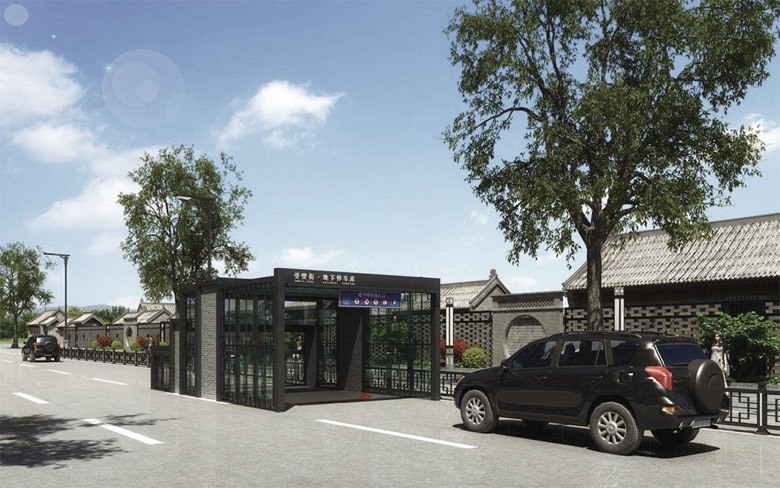 It is the first to put forward the innovative measures of building mechanical parking garage under the newly-built municipal roads, which improves and promotes the production and life quality of residents living along the area. 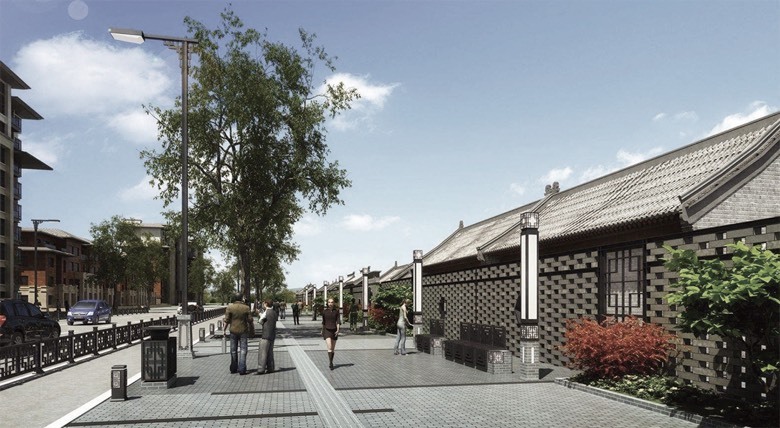 North Fuchengmen Street, as the traffic trunk of the Baita Temple cultural protection zone connecting the south and north areas as well as the main passage accessing Lu Xun Museum, has various traditional architectures in complete shape and structure, and the high and bushy locust trees along both sides of the passage add unique artistic tincture to the space. The reconstruction project of street environmental landscape of the North Fuchengmen Street and the building façade has perfected the landscape environment of the street and repaired the worn and damaged facades, enabling the commercial and settlement functions of the contemporary era and manifesting a high-quality street space with historic culture. Inner Fuchengmen Street renovation and revitalization plan aims at remodeling a constant and safe old living street full of cultural atmosphere, covering the construction of municipal belt, wire & pole undergrounding and overall combination, promotion of road traffic organization, repaving of pedestrian way, functional zone optimization, perfection of urban furniture, supplement of block greening, building of landscape at main nodes, comprehensive treatment of wall demolition and burrowing along the street, repair of building façade and other overall transforming and upgrading work in multiple aspects. And the Inner Fuchengmen Street, when rebuilt, will demonstrate the praise of “most beautiful street” by Lao She from eight aspects, i.e. “four-optimization”: optimization of safe and smooth motion line, optimization of row upon row of buildings, optimization of convenient and fresh facilities, optimization of supporting functions; “four-beauties”: “walking view”, “magnificent pavement”, “fine details” and “simple and unique lighting”. 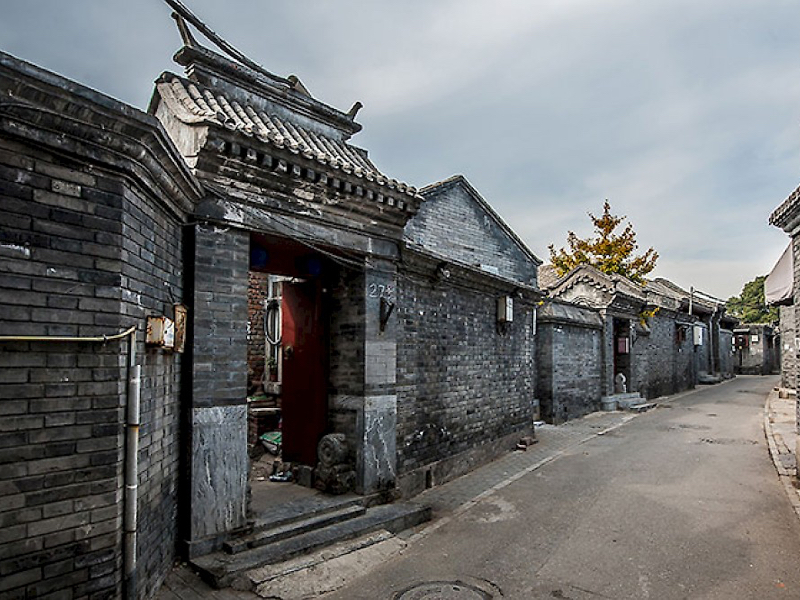 Located in the old street area where Beijing’s traditional quadrangles cluster together, Batasi area is also one of the last few low-building residential areas that have been preserved in this ancient capital. Such persons in architectural industry as Zhang Ke, an architect for creating standards, Hua Li, founder and chief architect of TAO (Trace Architecture Office), Dong Gong, founding partner of Vector Architects, and Xu Tiantian, chief architect of DNA_design and Architecture, have launched a series of case study and discussion activities as well as the mission to carry out the pilot project of “renewing and transforming small courtyards”. Meanwhile, in “Batasi Remade Plan”, transformation plans have been widely collected through the competition from international participants for the plans to renew courtyards, with some of transformed and renewed small courtyards being demonstrated, improving the living standards for ordinary people, leading residents to adapt themselves to modern lifestyles, injecting new energy into communities, and driving regional renewal and revival. 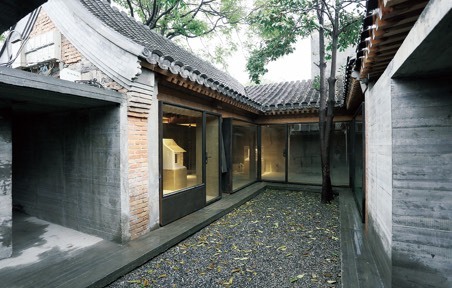 This design constructs the original dwelling-based courtyard into an artistic space integrating artist living, workshop and public exhibition hall, etc. 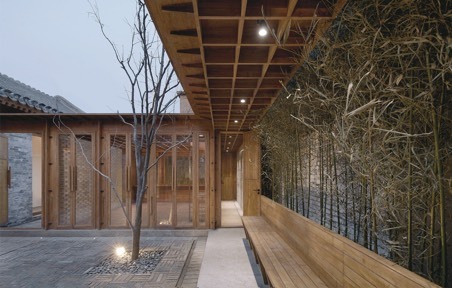 While reserving the main structure of the original architecture, it adds two outdoor courtyards according to the field texture and environment to bear the natural shadow. The main wall indoors, stretching upwards to the roof, becomes the ridge of the roof garden. 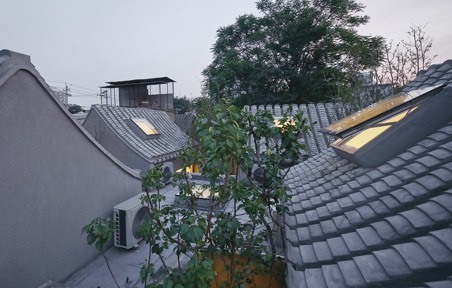 Moreover, the arc language and white texture used in the design extends the image of Baita Temple into the Hutong, and the vegetable shed frame of the roof garden echoes the living atmosphere of the Hutong. All the rooms of the traditional quadrangle courtyards are towards the center, for which spatial arrangement is corresponding to the traditional family life. However, a quadrangle parted courtyard, with room towards different directions, is for young people and mutually forms a windmill-shape layout at the end. The change from “integrated” to “parted” reveals the conversion of social structure and life mode in residence. Through extending connection of timber roof truss and wall integration, replacing reconstruction with renovation, it creates three spaces: “inserted dwelling unit” (8m2), public exhibition space (84m2) and all-in-one functional module (4.5m2, with functions of kitchen, laundry, washroom, storage, etc.). 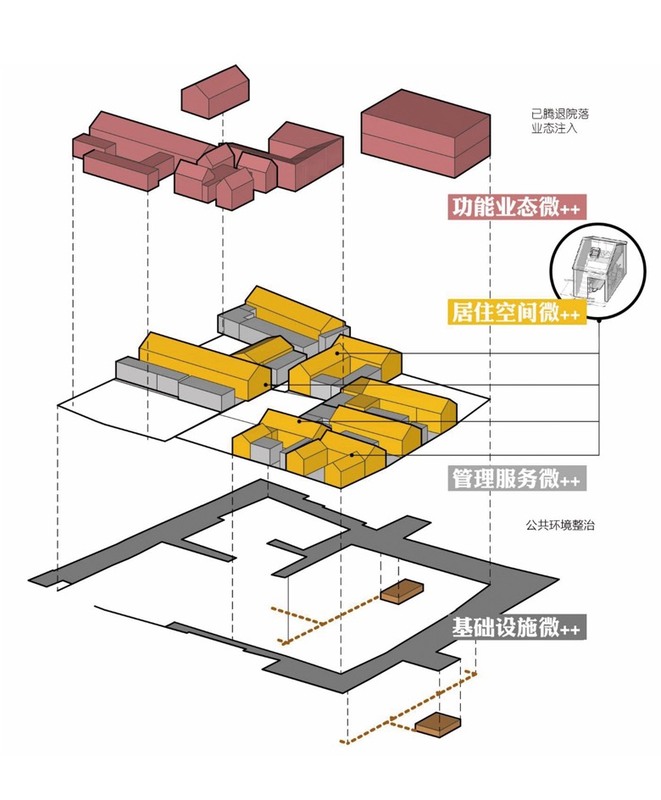 Mutualistic private dwelling and public exhibition surrounding the courtyard furthest improves the pressing infrastructure problem influencing on living in Hutong. Through partition of the courtyard space, its functions of exhibition, cultural activities, academic activities, little theatre, office, etc. are able to be mixed and mutualistic. In addition, it has sufficient outdoor courtyard space. Based on the traditional construction mode, it adds glass brick, bamboo steel and other new building materials and mode of construction, which not only reserves the quiet atmosphere of the traditional quadrangle courtyard, but also meets the demand of contemporary life. In the pilot project for renewal through “administrative coalition and spatial integration”, Qingta and Gongmenkoutoutiao areas are taken as the scope of the pilot project. In accordance with the requirement of the municipal Party committee and authorities for the task of “jointly managing with concerted efforts and speeding up the construction of a world first-class harmonious and livable capital city”, by means of repositioning the functions not specific to a capital city and comprehensively governing the city by law, and through continuous relocation of residents, the residential density and structure are adjusted, and through the introduction of fundamental energy, as well as local improvement based on administrative coalition and spatial integration, the residential conditions in the areas are improved, the quality of public environment is enhanced, the types of local business are adjusted and optimized, and the upgrading of local functions and the revival of the areas as a whole are realized. 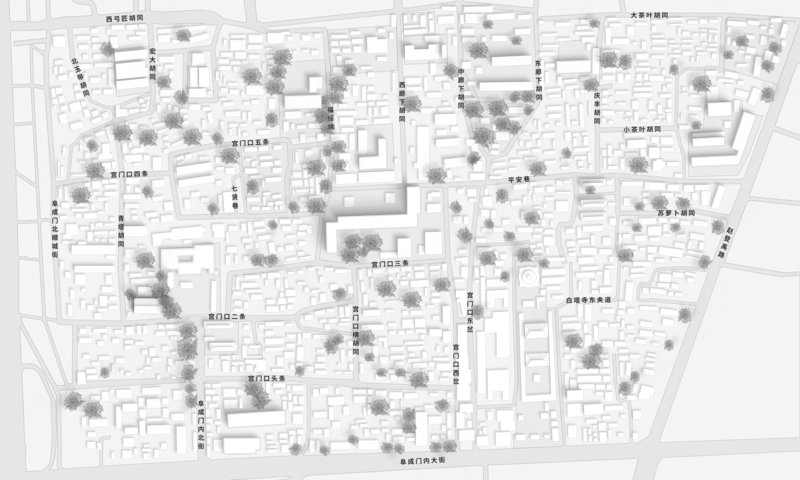 Under the challenge of current situation where residential conditions in the old city area of Beijing are characterized by fragmentation and high residential density, the model of highly detailed planning, designing and managing based on such micro-operational units as “courtyard” and “room width” is proposed in the pilot project for renewal through “administrative coalition and spatial integration”. 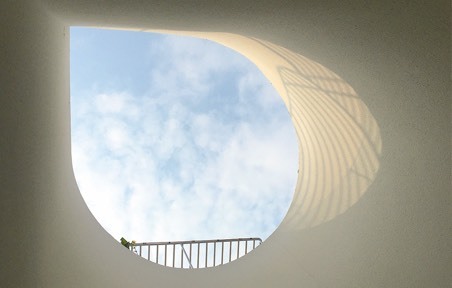 It fully respects the boundaries of existing property rights and relevant conditions for planning and management, presupposing that new construction area is as less as possible, dimensional features are not changed, and no public spaced is invaded. 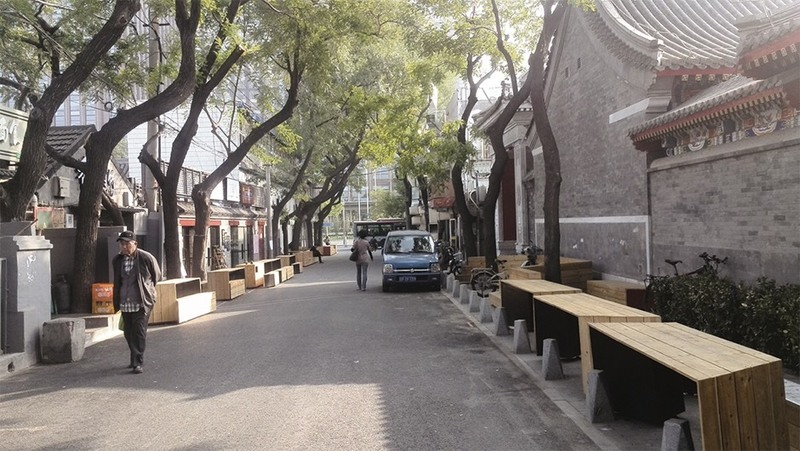 Through “coalition” of communities and “integration” of spaces, and oriented towards the type of full property rights, it leads residents to participate in the renewal of old city involving courtyards, as well as local improvement. Aiming to improve the overall image of locality and residential quality, and sticking to the general principle that the layout of local courtyards remains unchanged, it improves the style and features of the old city as a whole. 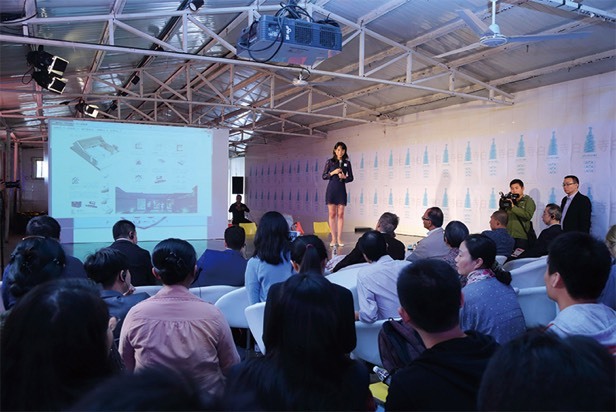 The industries of design, cultural creation, and art have the features such as relatively high cultural content, environmental friendliness and sustainable development, able to better incorporate original local culture, maximally mitigating the effect of commerce on local residents. 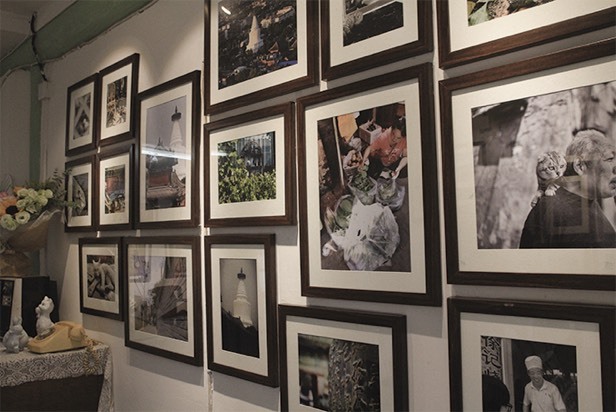 On condition that Baitasi area’s original quality of having residential functions remains unchanged, the utilization efficiencies of various resources are enhanced, and a platform for demonstration, communication, and release is set up for “cultural industry”, to boost the energy for local development. Its main functions are focused on the gathering of architects and artists; its core lies in the establishment of the system for a public service platform in the community; its highlight is its role as an incubator for creative projects; and a new cultural street area integrating design, creation and art is finally formed. Popular and high quality brands are introduced to the shops through “new commercial clients plan”, creating a good commercial environment for the community and surrounding areas, so as to attract new cultural creation industry and business entities. International cultural and art exchange organizations as well as practitioners of cultural creation and young creators are introduced through “new literati plan”, and cultural salons and creative ideas-exchanging activities are held on irregular basis, bringing fresh energy and industrial elements to the community. With perfect complementary commercial facilities in surrounding areas and general cultural atmosphere across the whole area, new groups of people are attracted and move in. 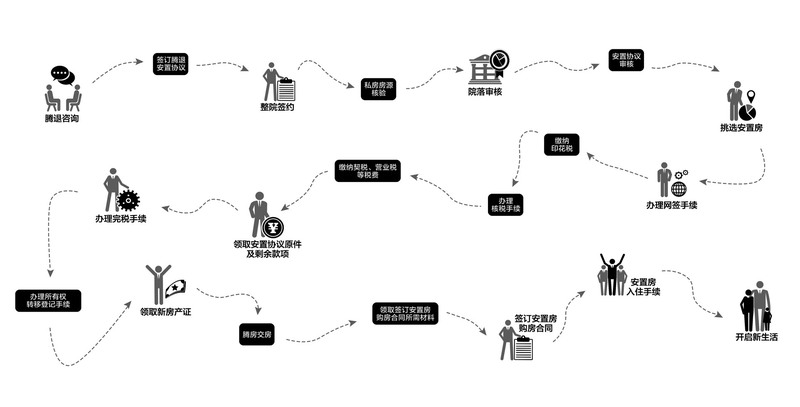 The enterprises of “new residents plan” set up platforms, interfacing local resources with social resources, so as to optimize the structure of residents, and enhance local consuming ability. The way to carry out the task of creating communities in Baitasi area is to study and find the historical cultural contents within the area where Batasi’s historical style and features have been preserved, lead local residents to take part in collective activities and projects, seek social contributions to the transformation of the one-story houses in the old city area, think new thoughts about brand promotion, enable residents to convey locally common ideas and values in their capacity as a host and actively participate in the protection and renewal of the old city, finally achieve the self-organized governing from lower to upper levels, and strike a balance between the governing in descending order and the self-organized one. The possibility of cooperation with social organizations and agencies has been actively explored for the task of creating communities in Baitasi area, and the power of social organizations has been put into community activities. By leading the way for residents to participate, the social connection between residents and culture, history, and environment has been established. The procedures for collecting public opinions precede the community-creating activities in the street area of Batasi, accurately reflecting the will of people. 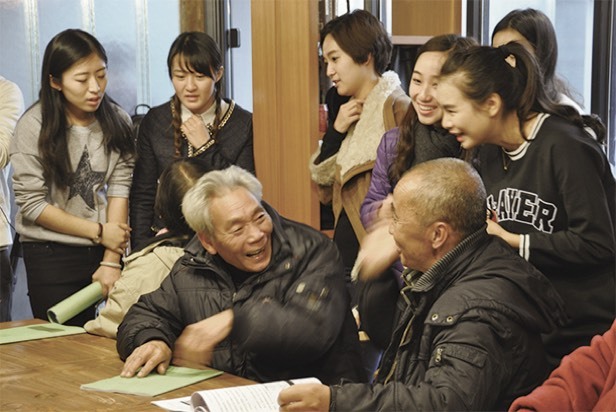 The creating activities directed according to residents’ will are gradually recovering the cultural features of Beijing’s hutongs, fostering and building the awareness and ability of community among residents. For the implementing subject of Baitasi Remade Plan, community-creating activities are carried out with such methods as joining hands with local cultural agencies and international cooperation, and in the form of demonstration, to explore the ways of transforming old cities and improving living environment.